ze: 18pt;">Non-intoxicating cannabis compound CBD may relieve migraine headaches, but clinical studies are needed. Increasing anandamide – a pain-relieving endocannabinoid whose deficiency may be implicated in chronic migraines. Interacting with pain receptors. 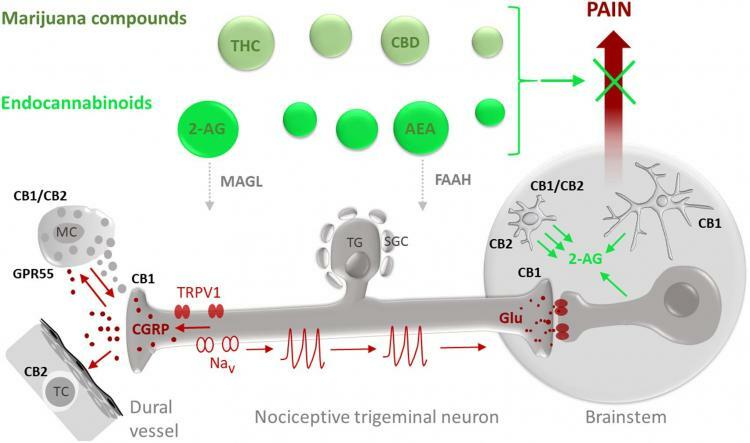 CBD seems to interact with several nervous system receptors that control pain and inflammation. Cannabidiol (CBD) is one of over 60 cannabinoids found in the Cannabis sativa (marijuana) plant. 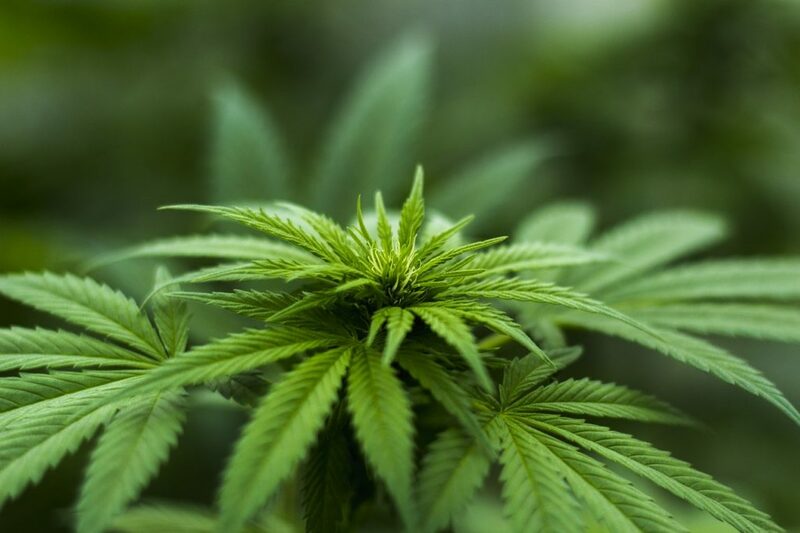 These compounds are responsible for the medicinal effects of cannabis, with CBD being the second-most abundant cannabinoid after tetrahydrocannabinol (THC). Unlike THC, CBD does not make you high, making it ideal for reaping marijuana’s benefits without the mind-altering effects. Thanks to this, CBD has rapidly become a popular remedy for a wide range of conditions, including anxiety, chronic pain, arthritis, insomnia, Alzheimer’s, and epilepsy. In addition, some people take CBD to improve migraine headache symptoms, which include not only pain but also nausea. Although there isn’t much research evidence for this, cannabis has been used to relieve headaches for thousands of years, and researchers are optimistic about the anti-headache potential of CBD. Did you know? About 10% of people who self-medicate with cannabis use it for migraine headache symptoms. Both plant (phyto) and human (endo) canabinoids seem to have the potential to reduce migraine pain. >Cannabis has a long history of use for relieving headaches and different kinds of pain. As such, it’s not surprising that people today continue to self-medicate with cannabis products (including CBD) to improve migraine symptoms. There are multiple studies demonstrating the anti-inflammatory and analgesic (pain-relieving) benefits of CBD. However, most of these studies are done on other kinds of pain – such as arthritis – and limited to animal and cell culture experiments. In addition, some human studies show that medical marijuana can improve headaches. 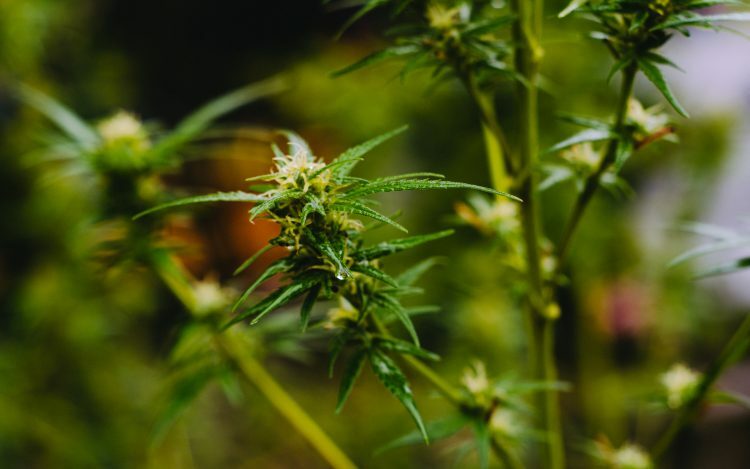 However, these studies are not of the highest quality, and tend to use the whole cannabis plant or THC-only preparations rather than isolated CBD. It is also important to note that cannabinoids can reduce nausea, which can help with migraine-induced nausea, and muscle strain, which can help with tension headaches. All in all, there is some evidence that cannabinoids and CBD in particular can alleviate pain and other issues related to headaches, and many people report migraine improvement with CBD products. However, clinical studies are sorely needed to confirm these potential benefits. As researchers urge in a 2018 study, “Cannabidiol (CBD), the second most prevalent pCB, should also be explored in relation to migraine treatment.” 9 As such, if you’re suffering from migraines and other options are not working, CBD is worth giving a try. Research on the medical benefits of cannabis has been slow because it remains an illicit substance in many places around the world. As such, it’s not surprising that there are currently no studies of isolated CBD use for migraines or other types of headaches and very few studies of whole cannabis. However, there is some early evidence supporting the effectiveness of marijuana (which contains some CBD alongside other cannabinoids) for migraines and related conditions. This study explored the effects of marijuana on migraine headaches. A total of 121 adults with migraine headaches were given access to medical marijuana for 4 years. Most patients took the marijuana daily in the form of smoking to prevent the headaches. Positive effects such as headache prevention and fewer migraines (average of 10.4 per month reduced to 4.6) were reported for 40% of the patients. A survey of 1746 California patients who use cannabis showed that 40.7% of them reported beneficial effects on headaches and migraines. Did you know? Cannabis withdrawal can cause headaches. As such, it’s important to not become dependent on cannabis as a solution to migraines. However, this effect is unlikely to occur with CBD because it does not have any addictive qualities. CBD oil 15+ mg for migraine headaches. We recommend giving CBD a try for migraines. Although human studies of CBD for treating migraines are lacking, existing research of cannabis and a long history of use suggest that it is a promising option for relieving migraine headaches, especially when we consider CBD’s lack of intoxication and dependence. There is no established dosage of CBD for migraines. Because there’s little research it is best to start with dosages recommended by CBD supplements. Most CBD products recommend starting with 15 – 25 mg, after which you can increase dosage until you feel the desired effect. We recommend using CBD in the form of oil because of convenience, but you can also try vaping and oral supplements.